So Many Sweets: Homemade Sprinkles! Stop!! Did you just say “homemade” sprinkles? Can you really make them? That’s possible? Those are just a few of the comments I get from people when I told them I made the sprinkles. But why not make the sprinkles yourself? You can customize the color to whatever you need them for, and for all the health conscious people out there, you know what is exactly in them. And the best part, they are actually really easy to make. 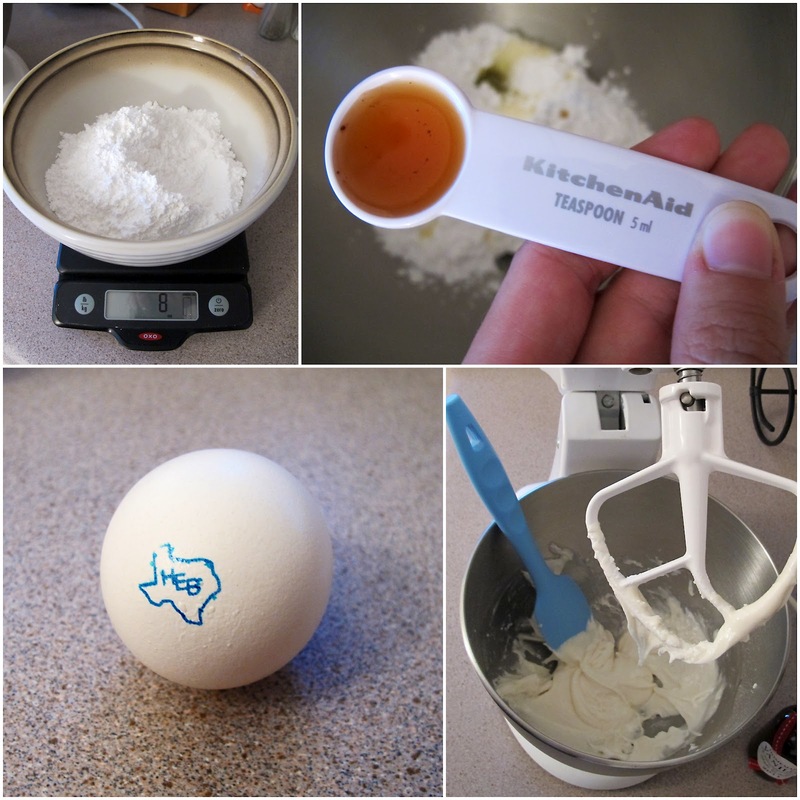 With a hand or stand mixer, mix the sugar, salt, egg white and vanilla together until a semi-thick paste forms. Color each batch with the color of your choosing. 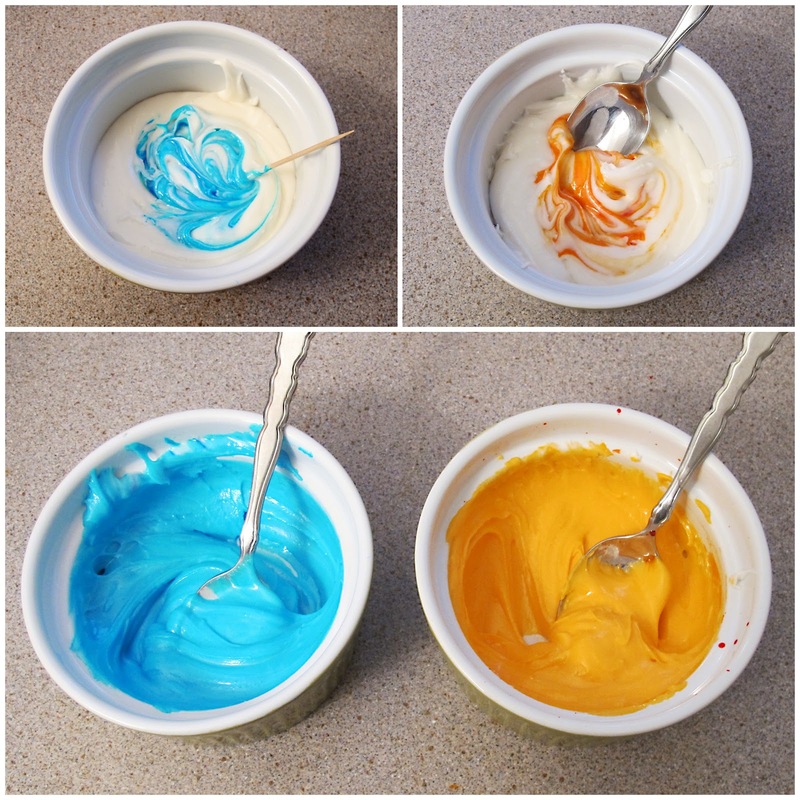 Put the now colored paste into the piping bag, and pipe out long thin lines onto parchment paper or pastry mat. Make sure your lines don’t touch each other. Do the same process with the additional colors. Now the hard part. Wait for 24 hrs! I know that 24 hours sounds like a long time but they need to dry completely before you can cut them. Otherwise they will not work as sprinkles. Use a knife to cut the sprinkles into jimmies. Use them immediately or store in an airtight container. This is awesome! My son will love this. What a great idea. Glad you posted this. I would have never thought of it. I am trying to get away from using store bought mixes and things of this nature. This is one that I am adding to my cache for use later on. New follower here from the Friday Blog Hop!